Here’s Allie teaching our Wolverine Pathways scholars about Pharmacology. 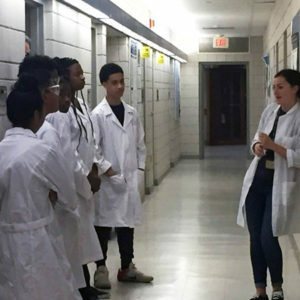 We have seven budding scientists visiting from Ypsilanti and Southfield, and we’re helping them learn more about bench research! Read more about the Wolverine Pathways program here.